We have officially finished the last of our gifted sessions from the holidays, closing out some of the busiest months on record. Now that we have had a chance to catch our breath, we thought it might be fun to spend some of our newly found free time doing what we do best - making absurdly detailed costumes for dogs. One of our favorite costumes we have worked with to date is the Elizabethan style ruff collar. 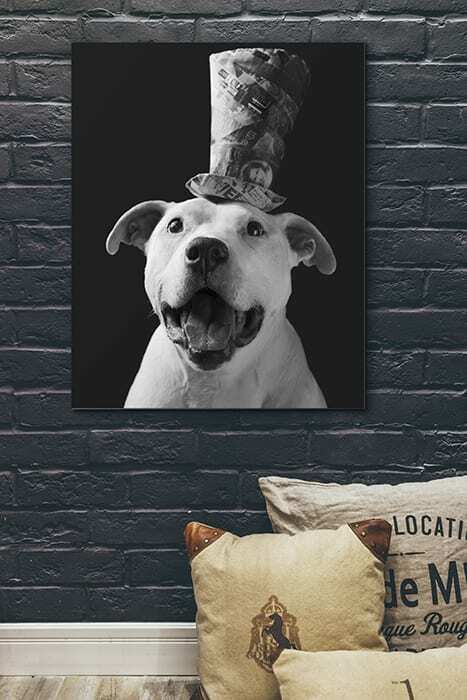 The collar featured in the image above was created for the original Paper Hats pet portrait series and was modeled by Bella, the namesake of Bella's Bully Buddies and all around awesome pupper. While this costume piece technically wasn't a hat, using it resulted in some amazing imagery and consistently remains one of our most popular portraits with fans. 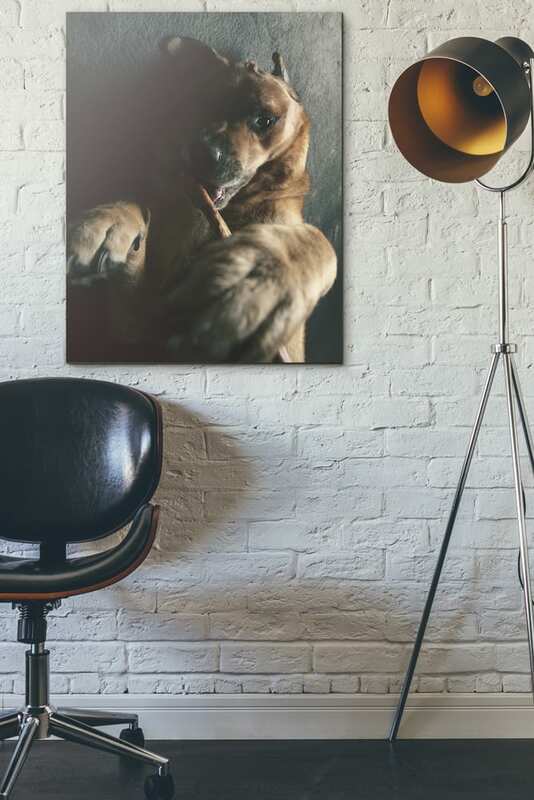 Ruff collars lend an unexpected and surprising air of elegance and prestige to pet portraits. Popularized in an era best known for Shakespeare and Rembrandt, ruff collars break up portraits in ways that are strikingly familiar, yet still very alien to our modern lives. 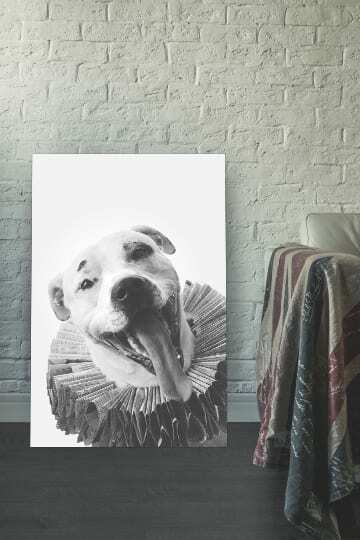 So much so that many people who view our ruff collar portraits for the first time mistake the images for paintings or digital manipulations. These distinct costume pieces lend for such creatively unique pet portrait concepts that many uninformed viewers simply struggle with the image being a photograph. Historical connotations aside, the reason these photos look so surreal is because of the physical properties unique to the ruff collars design. 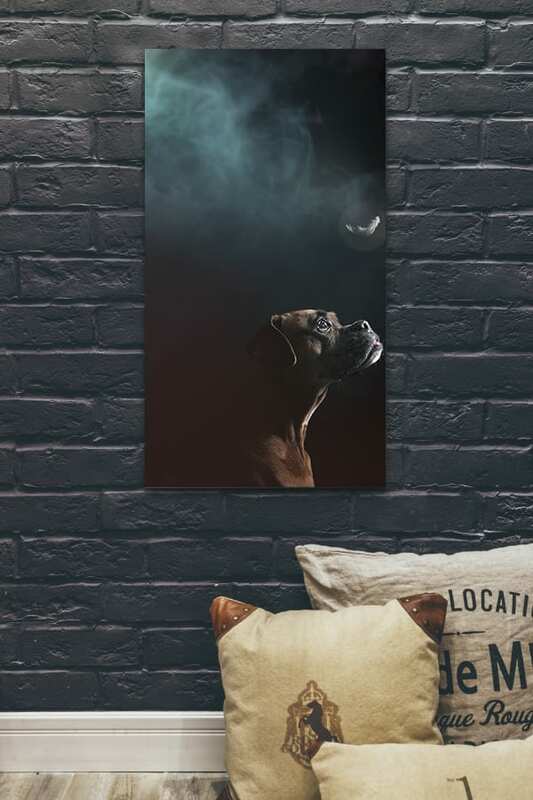 The wide pronounced rim of the collar allows us to do clever things with lighting and staging that are difficult, if not otherwise impossible, to capture when photographing a dog in studio. The problem with ruff collars is that they are ridiculously fragile and tricky to make. Each piece requires hundreds of scraps of paper to be cut and folded with absolute precision and custom fit to the exact dimensions of the dog wearing the piece. So, it should come as no surprise to anyone as to why we don't have a stock pile of these amazing pieces laying around or why we charge so much to make them. We usually charge clients $75 an hour for custom built costumes and Paper Hats. With the complexity and time required to fabricate a proper ruff collar, that usually translates to around $500-$750 just in costume design fees. Our Elizabethan style ruff collars are one of our most popular and creative Paper Hat styles. Now is your chance to feature one in a session with your dog for no additional charge. But to take advantage of this offer you must act fast. We're only making 5 collars and we're giving them to clients on a first come first serve basis. Standard sitting fees and print rates apply. Sitting fees for studio sessions are still $99, and like always if you meet or exceed your minimum print commitment of $199 within 30 days of your session, we'll still apply 100% of your sitting fee to your first order. This offer is only valid for studio sessions and can not be applied to in-home or on location shoots. Only one collar per customer. Inventory is available on a first come first serve basis. Paid deposit required. No rain checks, reschedules or holds will be honored. Can not be combined with other orders or discounts. Ready to claim your ruff? Book below! Don't forget to use the coupon code RUFF at checkout to reserve your collar. Please schedule RUFF sessions at least one week from booking date to allow for ample design time. RUFF offer valid with in studio sessions only.